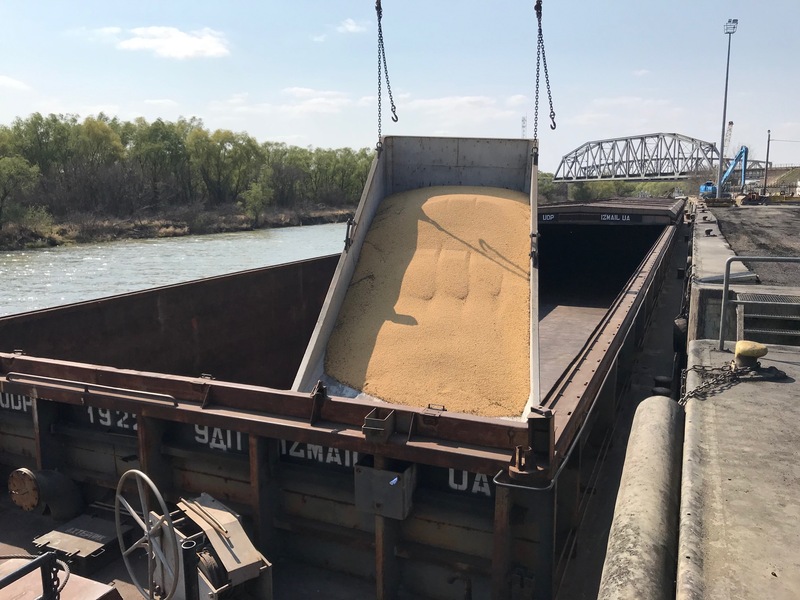 On 5th and 6th of April 2019 Danube Logistics operated the first time organic grain in bulk for its further transportation via Danube river on behalf of the Moldovan-Dutch venture ProGrain Organic, a resident of the Giurgiulesti International Free Port. The organic soy beans originate from ProGrain Organic cultivations and were consolidated in its GMP certified warehouse in the business park area. 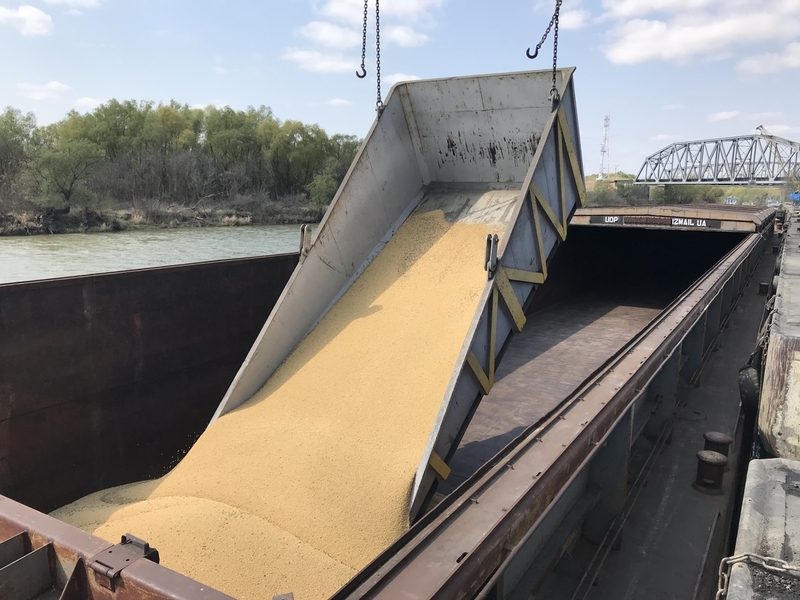 The transshipment of soybeans was performed at the General Cargo terminal via a special large bunker, used for unloading the trucks carrying the cargo from the warehouse and being further lifted by the port crane and emptied over the cargo holds of the ship. During the course of 2018 Giurgiulesti International Free Port facilitated exports to 53 countries and imports from 33 countries. 76% of the imports via GIFP originated from the European Union while 57% of the exports facilitated by the port are bound for the European Union. Danube Logistics SRL is a wholly owned subsidiary of the Dutch company Danube Logistics Holding BV, while the economic interests associated with Danube Logistics Holding BV’s shareholding in Danube Logistics SRL are shared with the European Bank for Reconstruction and Development. Danube Logistics Holding BV appointed Dr. Mathias von Tucher as the new general director of Danube Logistics SRL – the operator of Giurgiulesti International Free Port. Having served in managerial positions with Danube Logistics SRL for more than five years, Mathias von Tucher was promoted to the position of general director in March 2019. Before joining Danube Logistics SRL he has been the managing director of a major German engineering company and served in several managerial positions of BMW Group. Mathias von Tucher’s educational background includes a doctorate in business administration and economic geography, which he earned with distinction from the Ludwig Maximilian University in Munich. Mr. Pascal Le Deunff, Ambassador of French Republic to Moldova paid an official visit to Giurgiulesti International Free Port (GIFP) where Dr. Mathias von Tucher, Operations Director of the port made a presentation of GIFP for the French Delegation, as well as dicussed the role of the port, as one of the most important multimodal logistics hubs for Moldova and the region. During the tour of the port Mr. Le Deunff has visited the container and general cargo terminal, port’s business park, as well as the mixed-gauge rail terminal. Within the tour of the port Mr. Ambassador witnessed transshipment of coal from a maritime vessel to railway wagons, as well as noticed a lot of activity at port berths, which, meanwhile were all occupied by different type of maritime vessels. In first 9 month of this year, GIFP has facilitated trade to more than 60 countries over the world and continues to develop into a reliable and cost-effective partner, both for moldovan and foreign business community. Do you want to keep abreast of the latest news of the GIFP?